Tsunami managed to cause damage at about 300km radius around National Highway No. 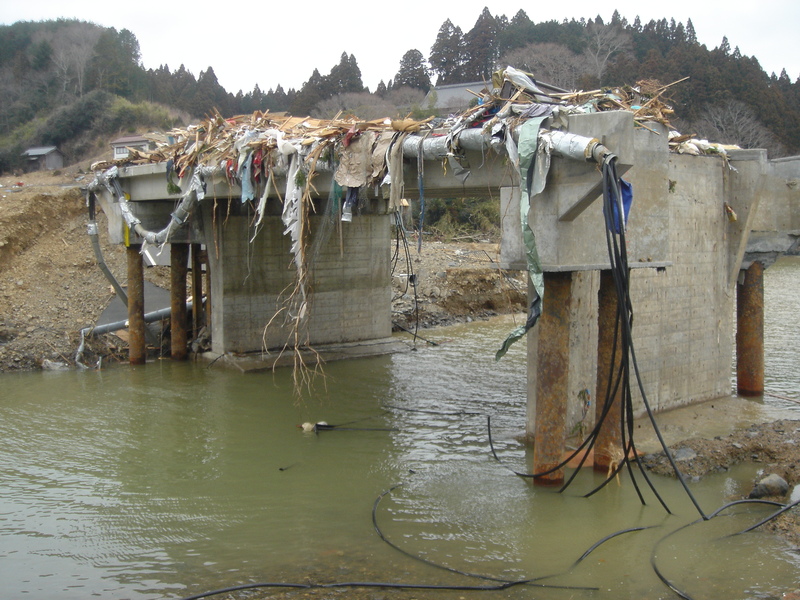 45, five bridges were blown away from Minamisanriku Town to Rikuzentakata City. Only the Nijuuichi Hama Bridge managed to stay strong despite the tsunami.